It's difficult to be a rock star in the land the epitomises conservatism, yet something shocking is happening. There is a rock scene waiting to burst out of the NWFP. Rahim Shah was just the beginning, Sajid and Zeeshan were proof that originality can spring out of unlikely places and there are others who are making their riffs and ragas heard... slowly, but surely. Jehangir Aziz is only 17-years-old. Yet, his song 'Never Change' has already been nominated at a music award show. He's been singing, writing and composing since he was 12 and is famous for being one of the youngest grunge musicians in the country. When he put the song up on websites like SoundClick, he claims to have received numerous offers from international communities for using it in their films. Shahab Qamar and Nazeef are 21. Through their band Avid, they are trying to give birth to a genre that they call "e-rock"--specifically, electronic rock, using audio synthesizers with rock and orchestral instrument. 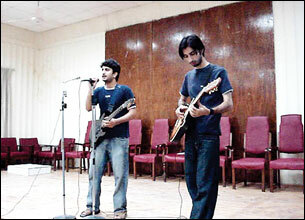 So far, they have recorded four songs ('UET K Café Mein', 'Tanha', 'Waday' and 'The Last Mile') in their own mini studio, winning first prize in an intra-college singing competition because of their unique, original songs. Mohsin Kamal is the president of a music society called Metal, which arranges interschool music competitions to promote talented musicians and has also taken Pakistan to India, making our country shine in all its original glory in a festival across the border. All three have something startling in common: They hail from a land of billboard-burning mobs and bearded men in power - the land of the MMA, Peshawar. In all fairness, Peshawar is, of course, not all about the MMA. You have mouth-watering chapli kababs and famous cloth markets thronged with women bargaining vociferously, lest their cloth-draped heads be mistaken for meekness. There's the famous Chief Burger/Pizza no one seems to get over and beautiful sea-green eyes everywhere. But there are also billboards conspicuously deprived of female faces, an ancient looking Ferris wheel in a dilapidated amusement part revolving, for the most part, bearded men in brown sharis (shawls for males) and an exactly zilch number of fun, public places where a young crowd can just chill out at. 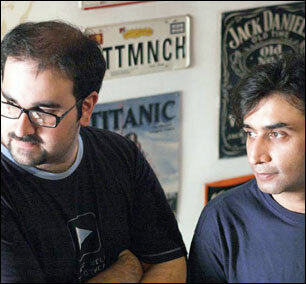 One duo that has been able to make it through all the barriers that Peshawar has begun to represent is Sajid and Zeeshan, now nominated for the Lux Style Awards in the Best Album Category for their album One Light Year at Snail Speed. Their music truly demonstrates that given a chance, the city does have something unique and significant to offer. 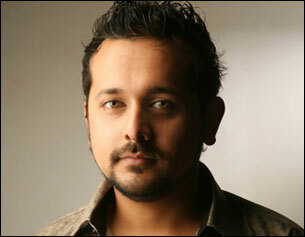 Zeeshan Pervaiz is the talented, cheery faced music producer and video director. 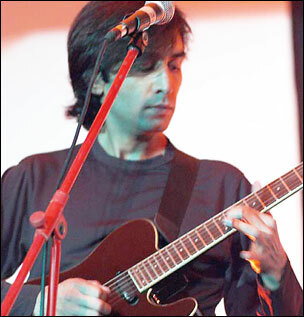 Sajid Ghafoor is the brooding guitarist, lyricist and composer with the haunting, silky voice. Together, the electronic virtuoso and the alternate rocker, meeting back in 2001, brought forward a true novelty-- an English rock album from a city which, in their own words, has placed a tacit ban on most forms of creative expression. Their journey, poignantly chronicled in their video of 'My Happiness', starts from the mid 90s when two brothers, Sarmad and Sajid, officially kicked off the underground rock music scene in Peshawar with their band called Stills. "Sajid and Sarmad were the first to encourage people to pursue music in Peshawar," said Zeeshan while talking to Instep. "They played at the American Club, started doing covers around town, even performed outside Peshawar in cities like Lahore. Their gigs, and also those of another band called Opiate, were always very well-perceived." Luckily, along came various music channels that started giving projection to different bands from around the country, and things got a whole lot more exciting. Pakistan started springing out so many young, self-made musicians who remained true to their soul, that it literally brought India, with all its gigantic budgets and bare skin wiggling tactics to shame. "It looked like the projection scene would get bigger," said Zeeshan. Even in a place like Peshawar. "Unfortunately, MMA put a ban on general artistic expression, discouraging a lot of people. When there was no association with art, some people even turned to drugs in their hopelessness," he continued. Despite that, the duo Sajid and Zeeshan decided to fuse their areas of expertise to revive music from a city that had basically, but not overtly so, banned artistic expression. They started performing at gigs in other parts of the country, specifically Lahore and Karachi, stupefying their fast growing number of fans who had to ask twice: they're from WHERE again? "The reason our music gets recognized is because it's in English and it's from Peshawar," says Zeeshan. Not denying the novelty factor Peshawar adds to their image, their music is good enough to have won accolades even if it came out of one of the three main cities. According to Zeeshan, the status on the music scene in Peshawar as of late is that there is no music scene in Peshawar. "The music scene here has not developed as such. There are only sporadic bands here and there. There's Jehangir Aziz who is very talented and one band called Az, for whom I'm producing a couple of songs. Most of these kids are really young, around 20 to 21 years old." Students. Apart from their primary priority of education, they have an extra burden of being stuck in a deeply conservative society that doesn't look upon musicians as anything more than 'mirasis'. Shahab, the talented 21-year-old from the band Avid says, "Out here, they call music 'Damtoab', which is like an abuse in the Pakhtun culture. They think playing music basically diminishes a family's pride and honour." Talking about his own music, Shahab endearingly refers to himself as the Zeeshan of his band, and his fellow musician, Nazeef, the Sajid of the equation. "Nazeef is the vocalist and guitarist (rhythm/lead) while I am responsible for the bass, drums, keyboard, synths." He feels that although the popularity of 'Ya Qurban' type Pushto songs are slowly and steadily being replaced by upbeat techno and remixes, there is still very little scope in his hometown for rock music. The first reason for that is of course language. "With majority of the city speaking Pushto, people's sentimental attachment to their mother tongue directly or indirectly affects their taste of music. They think rock music is nothing but noise," he says. He also points out that being students, parents are unwilling to spend money on musical instruments, thinking that it would distract them from studying. And there are no quality instrument shops in Peshawar as well. "The shops here are just looting inexperienced customers and many youngsters have no choice but to turn to the famous Bara Market for secondhand substandard instruments," says Shahab. Jehangir Aziz, the other incredible musician from Peshawar, recalls the first time he performed in public at the American school. "We used to have a lot of opportunities back then to go up on stage and give it all. 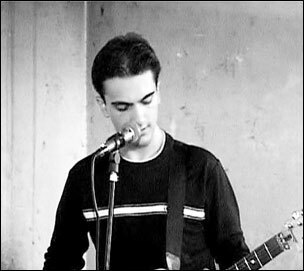 I also performed at the British Council; it was then that everyone actually acknowledged rock music in Peshawar." "Recently I was selected as a judge in a music competition held in FAST University. One could easily see the talent Peshawar has that day. Basically, the musicians over here aren't given much to work with because of the conservative attitude from people," said Jehangir. Mohsin Kamal, President of the Peshawar-based music society called Metal told Instep: "If you could only hear Jehangir perform live, you would be amazed that someone from Pakistan at such a young age can sing an English rock song THAT good." But not a lot of people are aware of this talent coming from the frontier region. 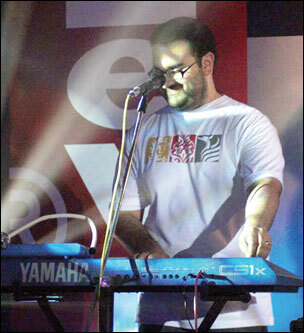 Sajid Ghafoor (of Sajid and Zeeshan) told Instep: "No one knows about musicians in Peshawar, but they're really good. Kids like Shahab, who're mostly into rock, are very talented. But it's still a new thing for Peshawar." Musing over the boredom in Peshawar, and knowing that his own English rock album has a very niche market, Sajid says, "You can't ever expect rock to capture a commercial crowd in a country like Pakistan. Just look at the literacy rate here," he says almost in disgust. "Most people are biased against English as it is. When you don't understand something, you tend to dislike it. Presumption is the mother of all screw ups. So one has to contemplate then - is Sajid and Zeeshan a stupid idea?" Replying to his own question with an emphatic 'No', he proceeds, "We are doing it for US. If I wanted to make more money, I wouldn't do music. This is for our own sense of personal achievement." And why does he stick to English despite the bias that he feels exists? Sajid answers that with four succinct words: "Why the hell not?" "I feel comfortable with English. Culture is basically following your own comfort level. I wish I felt more comfortable with Urdu but your accent should be spot on, and I feel mine isn't. Western music for me has such rich variety," said Sajid. Even so, a Pushto rock song called 'Lambay' is about to be released soon by Sajid and Zeeshan. Although the song could end up being admired by an even 'nich-er' market, the idea sounds so fresh and exciting that one can hardly wait to hear it. For a full-fledged music scene to develop in a city, one obviously needs the right venues for practicing and performing. Not only does Peshawar seriously lack those, but even contemplating to open up such places seems to be a dangerous idea because of the recent spate of bombings and volatile mob tendencies. A few months back when Atif Aslam was supposed to perform at Pearl Continental, Peshawar, one of the very few places that can actually guarantee security, a bomb threat started circulating around town. Mohsin Kamal, whose band was supposed to open the act for Atif, was seriously disappointed when the concert was cancelled due to security concerns. No doubt, performers have to skeptical about going to Peshawar when even Sajid and Zeeshan, being born and bred in the city, have not had a single concert as a duo in their own hometown. Secure venues like Pearl Continent or the Golf Club are way too expensive for an underground band. Then there are the popular Army organized concerts, which although highly safe, tend to solely concentrate on popular, commercial artists, not emerging rock musicians. "It's been ages since we've had a public concert here in Peshawar. As far as young musicians are concerned, they generally perform at their university functions, fun fairs, parties, that is, if their university supports them," says Shahab. Mohsin Kamal feels that inside universities, there are no problems, with no one trying to break up any event, even if it is music-related. But in public places like open parks, you just cannot guarantee anything. But Shahab feels that there are issues inside universities as well. "There exist political student federations in most of the universities of Peshawar who are severely against musical events. Several incidents are known when they tried to spoil and stop such events by force and even carried out physical violence against those who participated in them. This has not just created a fear among the students but also the university administration. They no longer provide funds for entertainment related societies since they are unable to guarantee student protection," he says. Adding a bright note in the dismal picture, Mohsin says that Masoom's Cafe has recently opened up in Peshawar and Jehangir has had a talk with them to allow him to have some gigs over there now and then. Besides that happening, if it does at all, kids like Jehangir and Shahab hold a lot of informal gigs inside their homes only for their family and friends. "Unless you'd want to invite the MMA along to make it OH-SO much more exciting," Jehangir adds with sarcasm. They also try to perform outside Peshawar whenever they can. Jehangir recalls playing at Civil Junction in Islamabad and being taken aback by the massive response from the crowd and the level of interest shown in his music, giving him, what he calls, a serious gig high. He says, "There are a lot of musicians around who can actually play and make sense out of what they are doing if only they are given the opportunity. I don't think they are given much to work with as they are all trying to stick to the system and gain its approval. The system is made to not encourage such an activity. Only the really driven can actually ignore such a response and continue with their work. Things are changing because of the music channels, but it still seems like it has a long way to go." It sure seems like it has a long way to go, long and as far away from Peshawar as possible, for some musicians at least. Many have moved out from the volatile terrains for greener pastures. The lead singer of Lagaan is originally from Peshawar. Wasim Kamal, prior drummer of Rungg, and now a part of Lahu, also couldn't stick around in Peshawar any more. "When I started my career, all members of my previous band Rungg moved to Lahore. We knew there is no music scene in Peshawar. There is talent for sure, but no nurturing of it. I was amazed to see the difference outside Peshawar, especially in Islamabad, where fellow musicians alone gathering at normal gigs number at around 200," said Wasim. If there are so many issues in a city like Peshawar, why doesn't the highly talented duo, Sajid and Zeeshan, just move out? The answer is obviously very simple. Home is after all, home, and they say moving out is just not an option. "It's a hindrance, yes, but we just can't leave Peshawar," said Zeeshan. He doesn't find any restrictions on working from inside his house in his post production studio and is quite comfortable in his hometown. He also feels that despite the problems, kids are catching on, making music inside their homes and getting together for informal jams with friends and families. And Shahab has some inspiring last words too. "Things are changing. There are many others like us who are desperately fighting against all the odds. We have friends like Mohsin Kamal at universities who have setup music societies on their own and are providing platform for youngsters to perform. Meanwhile, Sajid and Zeeshan and artists like Jehangir Aziz visit such platforms often and guide us in the right direction for all the right reasons. There is a huge amount of talent in Peshawar… it's a kind of musical evolution – which is obviously, a matter of time." When Ismail Farid's fashion shoot came to Instep (pages 36-39), we knew there was something extraordinary about this young designer. The crisp clarity of the shoot and the way it juxtaposed a modernist's vision with cultural artifacts from Pakistan's traditional heritage alluded to an artistic mind. It was nothing like the 'beautiful' bridal shoots most designers prefer to invest in these days; rather it was a bizarre style statement that oozed oodles of confidence. Model Nausheen Shah had been draped in a man's clothing - right from the voluminous folds of a starched white shalwar to the perfect pleats of a churidar - and the images were striking. After three years in the business, Ismail Farid is launching his eastern line and when shooting the collection, he had absolutely no qualms in dressing a woman in it. "I was quite sure Instep was calling to reject the shoot," he smiled when we met two days later. And he explained how, after bouncing the idea off so many different photographers only to be discouraged that the idea would bomb, he had clicked with Rizwan-ul-Haq. "Our thought process is quite similar," he added, "and when I told him the concept, he understood what I was trying to do." Ismail Farid may be a lesser known name on the loud and vibrant fashion scene these days, but he's actually been around for a couple of years, successfully operating from the much coveted Karachi high street, Zamzama. He designed Shan's wardrobe for the Asim Raza directed Indigo campaign and the entire wardrobe of costumes for Najam Sheraz's Mobilink video, every folk dancer included. Unconventional in his projects, Ismail has also designed Humayun Saeed's wardrobe for the currently playing film, Mein Ik Din Laut Key Aoonga. Though the film isn't doing incredibly well, Ismail's projects evidently have, as he has been nominated in this year's Lux Style Awards for Best Emerging Talent. We met at Ismail's shop on Zamzama, which like the rest of the city, was under the rigors of renovation. He explained how he was adding another floor for his office and easternwear display as the previous space was turning out to be insufficient. He'd make do with this and then branch off to either Park Towers or The Forum as soon as his number came on the endless waiting list for both malls. Lahore, he admitted, wasn't a potential market for him yet. Walking away from the deafening sounds of wood being hammered into shape, we settled down at Costa and I tried evaluating what had kept this creative spark away from the fireworks. There were no signs of the hyperbolic overexcitement that one tends to associate with young fashion designers these days - no visible body piercings (not even an ear stud), no tattoos, no groomed eyebrows, no experimental fashion statements and not even a mad cap and colored hairdo. Here was a perfectly ordinary, good looking and conventionally dressed young boy who didn't use the endearment, "jaani" even once in our conversation. He seemed almost shy in comparison to his contemporaries of the aggressive fashion industry of today. Ismail explained that he had deliberately not stepped onto the powerful machine of marketing and branding that has become a necessary part of owning a fashion label these days. He hadn't, and yet his credentials were all spanking perfect. "I've chosen to stay away," he stated without hesitation. "I'm not a party go-er and don't have much in common with the average fashion designer these days. I decided I wouldn't fit into the scene and so stayed out of it." He may have nothing in common with the fashion icons Pakistan has generated but Ismail sure has the sensibility and talent to go places. Five years ago, equipped with a business degree from CBM Karachi, he decided to revert back to his love for art that had gotten him an A in his A levels. It's just that art, to him, pointed towards fashion. Taking strength and then branching off from his family business that already dappled in textiles (his brother owns DIAZ Tex, a knitting unit in Canada that supplies to souvenir stores at Disney etc), Ismail ventured into his own designing. He spent considerable time in New York, picking up diplomas as well as tricks of the trade in a place considered the ideal learning ground for those interested in fashion. Ismail also spent eight valuable weeks at Rampage and though the American design house had taken him on as a merchandising intern, he ended up designing their 2005 summer collection. 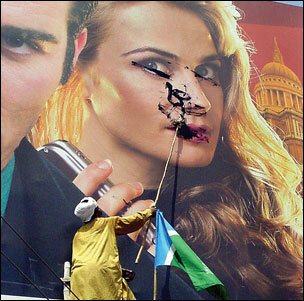 Back in Pakistan, he then launched his own label, designing smart western wear for the youth of Karachi. "Where most menswear designers in the country are catering to the traditional market - mehndis and weddings being their peak season - my business picks up when Grammarians and other young kids in Clifton and Defence are having a farewell party or need to dress up for a party or ball," he says. His clientele is molding his label, he adds, and since these youngsters occasionally want to indulge in eastern-contemporary clothing, he's branching off. And what about designing for women? "I don't intend getting into that," he says. "Every third door you knock at in Pakistan will open to a woman who claims she designs clothes. It's just not inspiring. Menswear, I feel is a bigger challenge." But isn't designing for women more lucrative as a business? "I don't equate what I design with how much money I'll make on a collection," he replies. "I want to keep my prices low so my clients can afford what I make. It's never been about money and always about what inspires me and what I enjoy. But being a business student, I understand the mechanics of running a business, don't get me wrong. We're all here to make money, only it doesn't have to be the biggest reason for being in this business." His criterion in the right place, Ismail Farid certainly is a fashion designer to be taken seriously. His strength is his pursuit for perfectionism and he takes pains for that, even if it means spending sleepless nights in search of the perfect 'kashkol' (beggar's bowl) for a fashion shoot. "We couldn't buy one off any beggar, though we offered as much as 6000 rupees to one. Evidently these begging bowls are blessed upon in Sehwan Sharif and then given to faqirs. They refuse to sell them and we literally had to pawn one off a woman and return it to her after the shoot was done." As with finding the bowl, Ismail Farid is taking the road less traveled towards success and yet he's confident it will find him. With what he has to offer, it certainly will. Refering to this shoot and the props he has used in it, Ismail believes things stand out when they are placed in the unconventional place. Well, creating the avant garde image is what fashion is all about and just living by that rule makes Ismail Farid another delightfully eclectic addition to the next generation of talented fashion designers.